In supply and logistics, there can definitely be too much of a good thing. 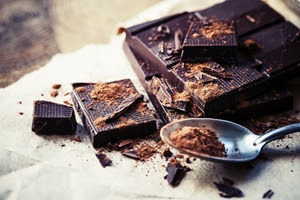 The Wall Street Journal recently reported that cocoa producers may find themselves struggling with this problem, and that the industry's status in 2016 is a major switch from its gains last year. Cocoa traded in New York plunged 27 percent in value earlier this month, according to the source, and good growing conditions for the crop, which would seem to be an encouraging sign, have actually proven to be a problem. Although West African producers have the means to trade hundreds of thousands of tons more beans than usual, demand is lower than expected, meaning there is less of a force driving the supply chain, even among some of the promising markets. However, there are positive indicators as well. Just because chocolate demand seems to have shrunk doesn't mean that the cocoa beans won't increase in value soon. The source added that stockpiling could therefore be a useful strategy for avoiding the immediate issues of the market. In addition, Bloomberg noted some peaks in delivery for Ivory Coast farms. An unnamed source told the news journal that the penultimate week of November actually saw the amount of arrivals increase by 5,000 tons compared to the 2015 numbers. Depending on future developments, this could eventually lead to better stability and also shows that the effects of such a surplus don't have to be long-term. Like other food and agricultural sectors, a shift in global sourcing could also impact the chocolate industry. In this case, buying from local, small suppliers doesn't mean that a chocolate maker won't have to think internationally. Los Angeles Magazine looked at the sourcing practices of choclatiers, exploring the specific ways new artisans are changing their approach. Harvard lecturer and Fine Cacao and Chocolate Institute Founder Carla Martin told the magazine about the impact of new attitudes in this area. "When you look more closely at where our chocolate comes from, as these craft makers are doing, it pushes you to examine the supply line for a product everyone loves and craves but doesn't think too much about," she said. Martin also referred to the main subject of the article, chocolate entrepreneur Nicole Trutanich, saying that she is "seeking out the finest raw materials, sourcing them in a way that's open and honest, and shepherding them with human hands" - ultimately creating a contrast with much of the mass-market product on offer. It's also important to note that Trutanich draws from "equatorial" sources, and claims that the nature of the supply chain itself actually impacts the quality of the chocolate before it reaches her, changing the flavor in the process. Along with the surplus issues, this idea could influence chocolate businesses to consider the fundamental role their sources play. Chocolate might not be the only industry where this same dynamic plays out. In any case, strategic sourcing means that businesses have options to do best by their company, customers and product. Being able to react to new conditions is also a perk of choosing new sourcing systems.